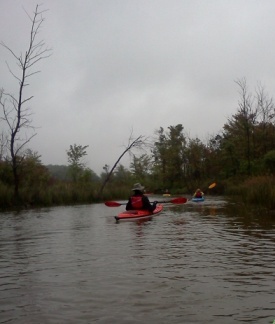 Saturday was a cool, grey day for our paddle trip from Bruin Lake to Hell, Michigan. When we arrived at Bruin Lake, steam was rising as the warm water met the cool air. 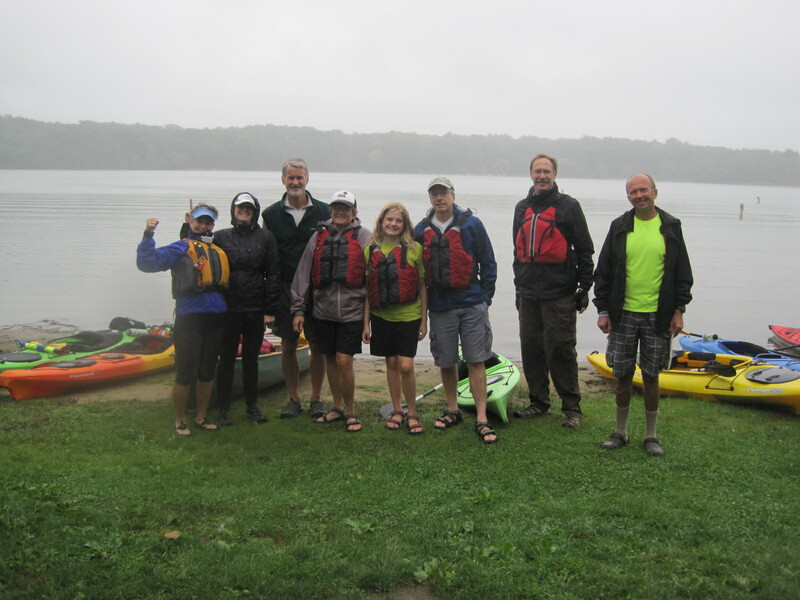 For a lakes region paddle trip, the weather was perfect- if it were a sunny August day, the lakes would have surely been covered in sailboats and motorboats, but our paddle group had the lakes all to ourselves! With the exception of a few small fishing boats, the lakes were still and quiet. We were a small group of paddlers, but we were a curious and adventurous group. We set out from Bruin Lake and explored seven lakes in the Chain of Lakes region. The small size of our group encouraged meaningful discussion about the lakes, the wildlife, the topography, the flora, and watershed protection. Barry Lonik, volunteer paddle trip guide, and Kris Olsson, HRWC watershed ecologist, answered many questions as we explored the lakes. From Bruin Lake, we paddled against the current to Watson, Patterson and Woodburn lakes. We experienced a small stretch of high winds, but for the most part, the water was calm and clear. When we found the mouth of Portage Creek, we poked around a bit, paddling upstream through a stretch of the river densely lined with cattails. 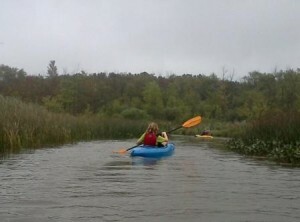 Next, we paddled back across the lakes with the current to Blind Lake. Blind Lake is a very special lake as it is the only lake in this region that is bright green in color. It is also a very secluded lake because there is no public beach or boat launch. There is a campground along Blind Lake connected to the Potowami Trail, but most people get to it by boat. We took a short break here to rest and take in the gorgeous green water. Then, we pressed on to Halfmoon Lake, Hi-Land Lake, and finally the dam in Hell where we ended the trip. It was a great trip overall thanks to a great group of folks, calm waters on the lakes, and refreshingly cool weather. 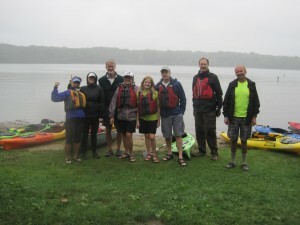 Please join us on our paddle trips next summer! 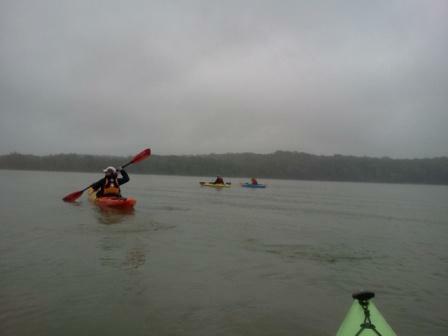 If you have suggestions for the paddle trips, please contact Emily at recreation@hrwc.org.